The Black colored set of two elephants with perfect design and detailing is the ideal set of show piece to enlighten the beauty of your space. The combination of red with black as its basic hue is what makes this showpiece set utterly desirable. 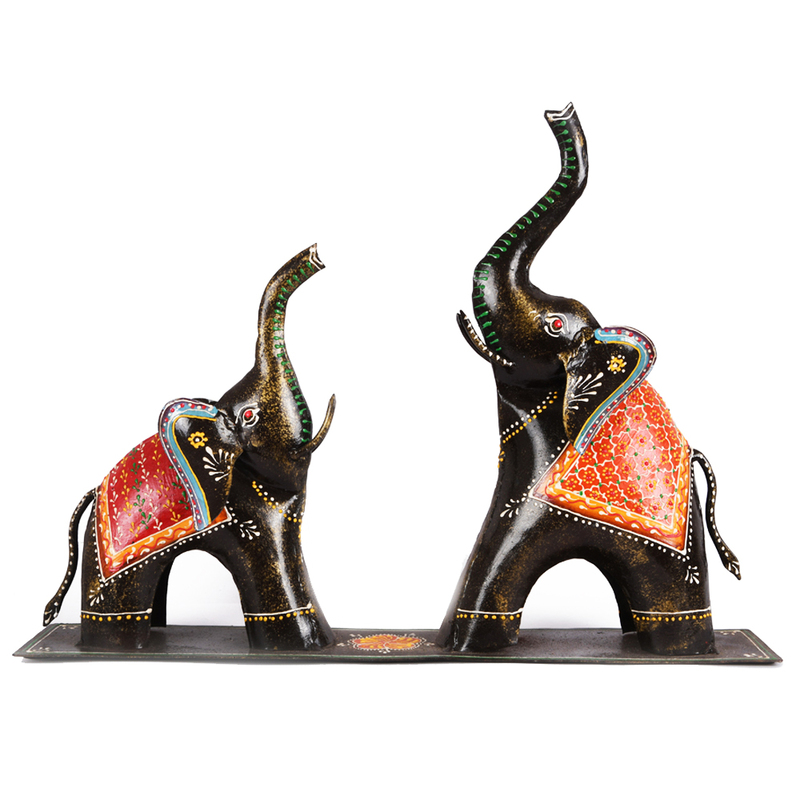 The set of two elephant made of iron is designed to spruce up the look of your home. 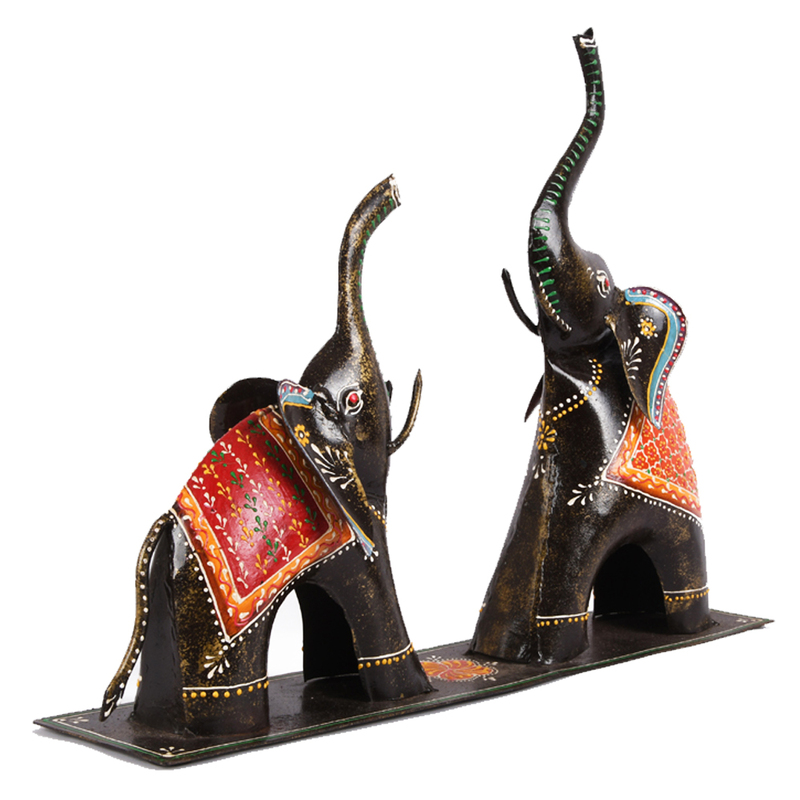 The Black colored set of two elephants Read More..with perfect design and detailing is the ideal set of show piece to enlighten the beauty of your space. The combination of red with black as its basic hue is what makes this showpiece set utterly desirable. Dimension of one elephant is large & one is small. They have posed in the mood of aggression by raising their trunks, which is depicting the power of an elephant. Show Less..